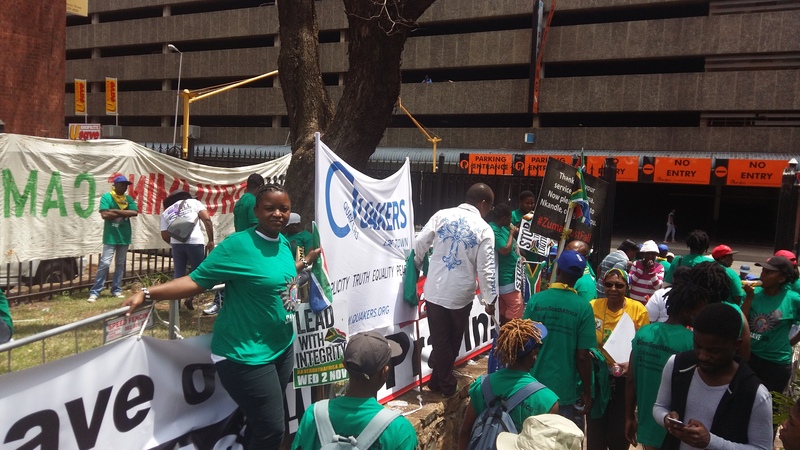 The Peace Centre participated in the ‘Recall President Zuma Now!’ march to Parliament on 7 August 2017. The march was organized by #UniteBehind, a coalition of civil society and faith-based organizations. The corruption under President Zuma is said to have cost South Africa hundreds of billions of Rand. The Peace Centre believes that this could have been used for the betterment of the lives of the most vulnerable in South Africa.